Houston Dynamo in the Playoffs!!! 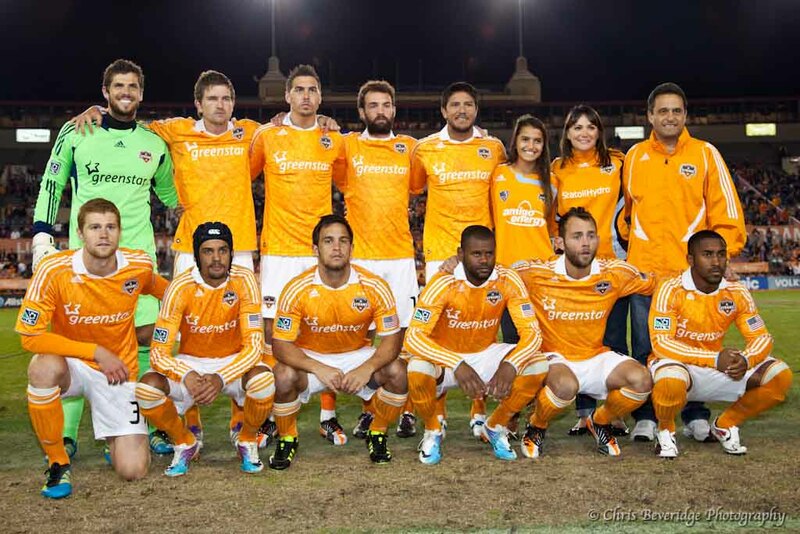 Last Sunday, 23 October 2011 the Houston Dynamo hosted the LA Galaxies here at Robertson Stadium. Filled with the fire of wanting to solidify a playoff spot the Dynamo came out on top 3:1 with what was probably one of the best performances this season. With goals from Adam Moffat, Bobby Boswell, and Carlo Costly they Dynamo held off the # 1 MLS team with only conceding one goal to the Galaxies. With this grand victory the Dynamo will be playing Philadelphia Union this Sunday @ Union and next Thursday, 3 November 2011 here in Houston at Robertson Stadium. Victory here will move the Dynamo one more step closer to the MLS cup a vision long sought after since their last MLS Championship win in 2007.